Item # 315050 Stash Points: 2,795 (?) This is the number of points you get in The Zumiez Stash for purchasing this item. Stash points are redeemable for exclusive rewards only available to Zumiez Stash members. To redeem your points check out the rewards catalog on thestash.zumiez.com. A testament to both Lamebrain and Mishka's unique art directions, the brand's present their collaborated Black T-Shirt. 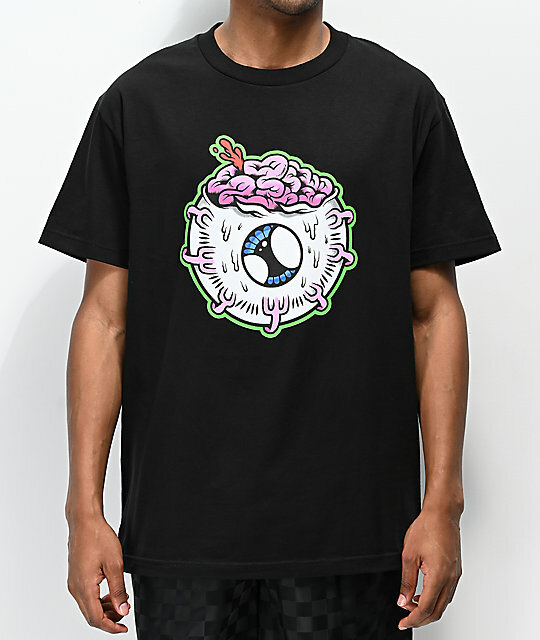 This graphic tee features a sweating eyeball/brain entity on the front while the back displays an oozing and gaping collaborated logo script graphic. Black T-Shirt from Lamebrain x Mishka. 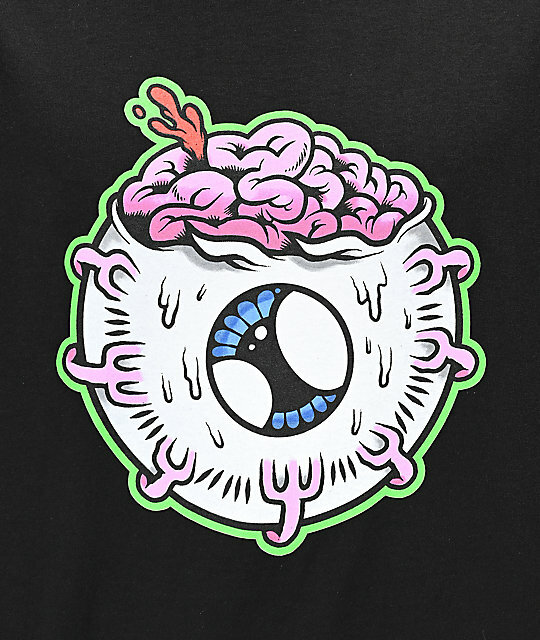 Signature Lamebrain and Mishka collaboration.